As you may have noticed, I did not write up this review on Thursday night after the episode aired. I know this means it will get less hits and such, but I figure why put myself under a certain kind of pressure for a few hits. I don't love the show as much as I used to, I don't feel the urgency to watch it like I once did, so I'm going to watch and write these up by the weekend, but without a set date in mind. At least for now that is the plan. Part of this decision may stem from the fact that I was extra disappointed with the previous episode, but it's also been a long time coming. Okay, on to this episode. Things are essentially back to normal, apart from Dean confessing to Castiel that he's not really sleeping with the effort to keep Michael at bay. But the four guys are all out on a hunt together, chasing down a dude that's killing other dudes and eating them. It turns out that said dude is a Gorgon, a la Medusa, who paralyzes his victims and uses snakes and such. Do we care about this Monster of the Week? Not really. The important thing here is that he is able to see everyone but Castiel and Jack coming, seemingly because of their angel-ness and near-angel-ness. 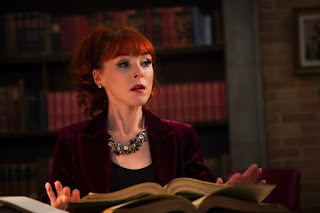 Which means that, with the help of Rowena's tracking spell, those two will be able to get close to this Gorgon before he spots them with his near-future visions, unlike the brothers Winchester. So, they track him down, fight a bit, Castiel gets hit with the paralyzing stuff, which works for some reason, the Gorgon tells some story about an egg that relates to Jack, basically insinuating he might be the real bad guy or some such. Blah blah, they kill him. But not before Dean gets hit on the head, which leads to the rest of the episode. Oh, and Jack uses his angel powers (the ones that will eventually drain him of his soul if he keeps doing it) to heal Castiel, who of course doesn't want him to keep doing that, etc. 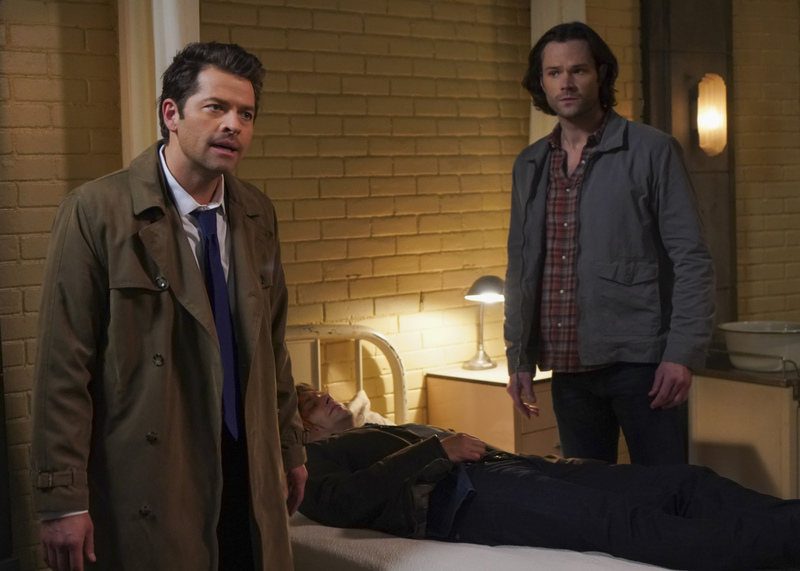 They head back to the bunker, and they are unsure what to do about Dean, who is still unconscious. Because that might mean Michael can get out, right? Right. He manages to sort of escape, at least in the way that he can talk to Rowena in her mind, and get her to agree to let him in, which... whatever. Over people flip flopping between good and evil, honestly. She lets him in, kills a bunch of people in the bunker, including that Maggie girl who's been hanging around and not doing much. But then Jack steps in. He's not having it, no sir. Despite Michael acting all cocky like Jack can't do anything to him, he uses his powers to weaken Michael, and then forces him out of Rowena. He does some stuff to his essence, and then consumes the grace that remains. Jack says he's back to himself, but I guess that's now the question for the rest of the season - is he really? - I mean, hopefully this is the end of the Michael storyline. It was getting stale and repetitive, for sure. - Lately I keep thinking what shows that are forced to be over 20 episodes a season might have been if they could have been more like 10-12 instead. Man, so much unnecessary filler would be cut. I know some people like to have a show on for a while so they have something to watch every week that they like, but I'd rather it be good the whole time, you know? Rowena: You, always blaming witches. Dean: 'Cause a lot of times it's witches. Dean: This is like an A/V club presentation. Jack: What's an A/V club? Castiel: It's a special group for people who do not play sports. Dean: Yeah, he's A/V club. Dean: I'm on a first name basis with a psycho penpal. That's...aces. Jack: I'm the son of Lucifer, I'm a hunter, and I'm a Winchester. 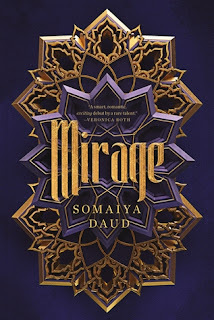 Thoughts: One thing I've been discovering since starting these book reviews is that, while I had previously thought I was an equal fan of science fiction and fantasy, it turns out I think I'm actually drawn to fantasy more. I think that tends to be because science fiction can focus on a lot of mechanical and technical things being different or advanced, and apparently I don't find that as interesting. 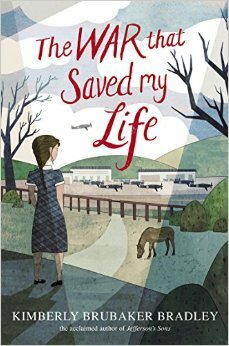 And now that we've gone on that tangent, let's talk about the book I'm actually reviewing! A Darker Shade of Magic does fall into the fantasy category, and on the surface, I should really like it. 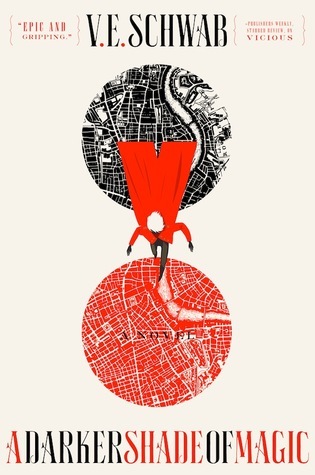 It has magic, and adventure, and parallel worlds. How the worlds vary is well done and the lore of the series is pretty cool in general. The story moves at a quick pace pretty much from the get go, which I always appreciate, and does a good job of mixing in the history along with the current happenings. That said, I didn't love it. There is something a bit stark, something that doesn't quite make me feel much toward the characters. I think part of that lies in the fact that we don't really see Kell very much with his adopted family. While of course it's interesting how he smuggles things between worlds, for me to care about him, I need to know how he feels about everything. The fact that they call him their son, yet he's not. That he loves Rhy like a brother, etc. I mean, that becomes a rather important point later in the book, yet so little time is spent on their relationship in the beginning, it was hard to care very much when certain events went down. Lila as well I wanted to like more than I actually did. She's meant to be a somewhat unlikable female lead, which I applaud because oftentimes that can be difficult to execute and difficult to get people to sign on to in the first place. My issue with her isn't that she's unlikable on the surface, it's that she's not that likable under that surface. We know next to nothing about, again, how she feels about everything. What makes her actually care about others, why she doesn't care about them (at least outwardly). She's a badass, sure, but I wanted a little chink in the armor, something that showed she was still human. I debated whether to give it three or four stars, so I had to settle on 3.5. There's a lot of potential here, and I think I might continue on in the series just to find out more about where Kell and Lila came from, because that's a mystery I'm actually interested in, even though some of the mysteries I'm pretty sure I already have figured out. 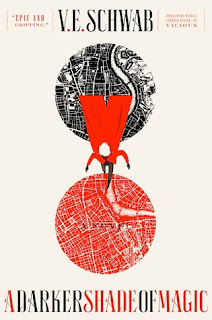 If any of you have read it, let me know your thoughts in the comments! My friends, I think I got myself too hyped for this episode. I was honestly really looking forward to it, but I felt kinda let down. The structure of the episode was just a bit wonky, why did they need the whole beginning with those dumb kids? They could've cut straight to them with the pearl saying it's supposed to grant your deepest wish so it wasn't 20 minutes of filler in the beginning. It seemed like there was hardly any history there even though that's what it was supposed to be about. I don't know, maybe I'm crazy and over-analyzing. I'm sure a lot of people loved it. But okay let's get into the recap portion of things. As I mentioned, there's this whole beginning part where the guys are looking for this skull because another hunter who had it was killed and this dude took the skull and put it in his collection and... I mean, do you care? I don't care. 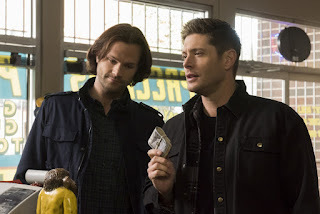 The point is, they get a bunch of occult stuff in the Impala, then head into town (aka Lebanon), and the Impala gets stolen by a punk kid with all the stuff inside, they track it down, figure out there's a magical pearl in with the stuff. So. Yes. They have the pearl. It grants wishes. Dean's like alrighty let's try it so I can get Michael out of my head. Well, he seems to get Michael out (though this is truthfully never fully addressed unless I completely spaced out), but he also, you know, brings his dad, John Winchester himself, there to the future. But a very specific version of the dad, from 2003, before all of the events of the show. Why would Dean want this particular version of John back? No idea. Not addressed. But he's here, and the boys tell him all about what has happened, and he's the most caring version of John we've ever seen from here on out. Not that John couldn't be caring, but you know what I mean. Mary walks in and they're immediately kissing, and while they mack, Sam pulls Dean aside to rain on his parade about how messing with time travel is rarely a good idea. It will inevitably change things. 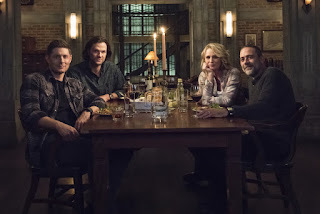 Dean wants to ignore that, at least for now, and have a nice family dinner of Winchester Surprise that we've only heard about as of this season, but is now folklore of the family as if it were always a thing. While Dean and Sam head out to get the ingredients, they realize that things have already started to change. Since in this version of the timeline, John disappeared in 2003, Dean never ended up going to get Sam (I mean, really? The whole reason he went to get Sam in the first place in 2005 was because John was missing. Are we supposed to believe that Dean went and got him and because they never found John, Sam went back to school in this reality? IDK, guys, IDK.). So, Sam is now some tech goofus while Dean is still hunting and also wanted by the police for many beheadings. So, while they're out and about, they see some bright lights that could only be from an angel declaring themselves to complete strangers because that's what they do in this timeline even though the only reason they got involved in the world's affairs before was because of the whole Winchesters being special thing, but I guess because time is being messed with, it's fine, whatever. Cool, bro. Zachariah and Castiel, now back to a version of season four Castiel, are here and declare themselves and beat up the brothers, and Sam can kill Zachariah this time, and blah blah they banish Castiel with an angel symbol thingamabob and ok, let's go back to the bunker and tell everyone the bad news that dad has to go back to his timeline, because duh. Now there are some father-son moments between both John and Sam and John and Dean, and everyone gets to be very touchy feely and talk about stuff. John is very proud of his boys, Sam is over his old resentment toward his dad, etc. They ponder whether changing things even further back in time would be better for them, but of course they're themselves and besides, we saw what that life could be like way back in season two in one of my actual favorite episodes of the series (that's What Is and What Should Never Be, for those who haven't figured it out already), albeit without John in the picture. Anyway, they come together and bash the pearl, and John slowly disappears back to his time. 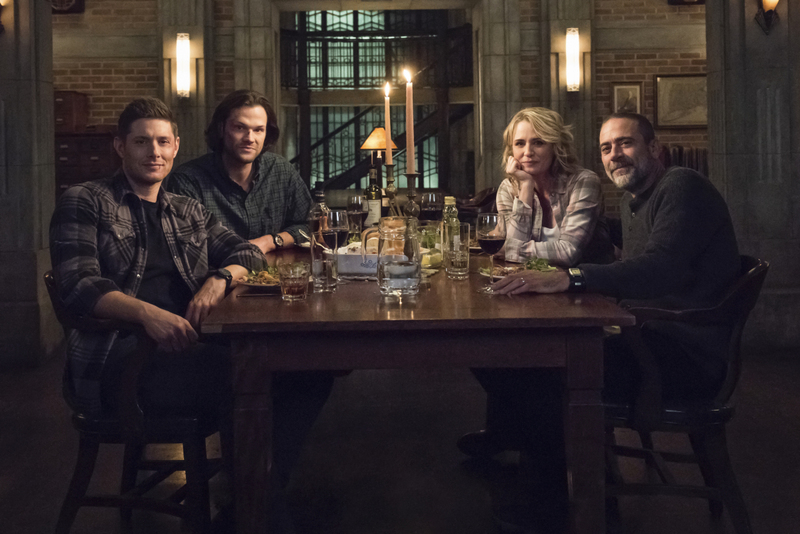 All is back to normal, or as normal as it ever has been for this Winchester crew. - Like Sam would ever pick up a cursed object and almost pull the string on it. Puh-lease. - Did I miss where they called themselves Campbell before? Are we just supposed to know they go by that name in town near the bunker? - I'm sorry, I really wanted to like this episode, I really did. 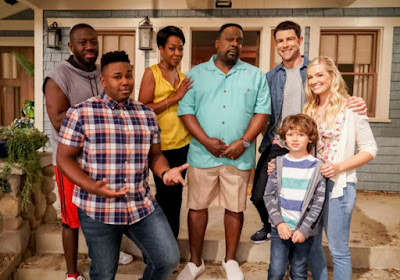 I was really thinking it would be the best episode of the season. Maybe my expectations were just too high. - I do feel bad being mostly negative anymore; you'd think I was never a fan. But this was my favorite show back in the first five seasons. I went to the first Paley Fest panel for it back in season one, you guys. It just makes me sad. Dean: This is like the best worst thing that could happen. 'Cause you love serial killers, but you hate clowns. Sam: Yeah, Dean, I get it. Dean: I Googled me as well. A lot of beheadings. Dean: Would we be better off? I don't know, maybe. But I gotta be honest, I don't know who that Dean Winchester is.